Judy and Bradley Niemeyer, with Quiltworx.com, designed the foundation blocks used to make the Osprey’s Nest Log Cabin. 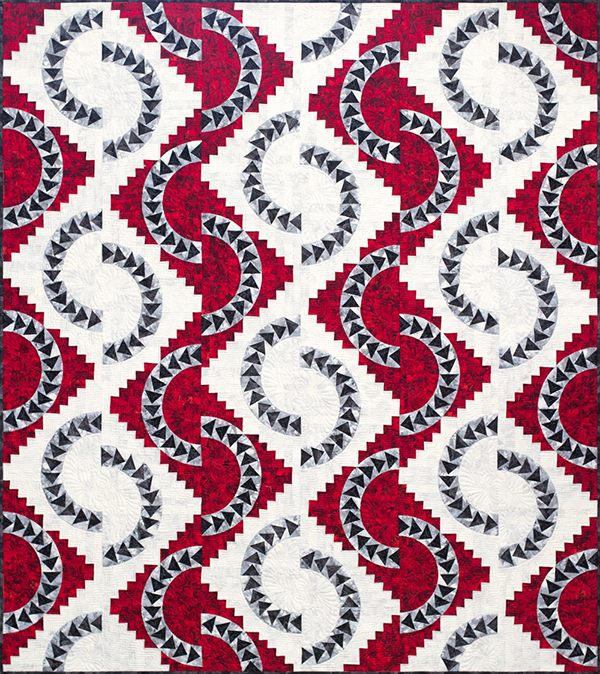 The Osprey’s Nest is part of a series of patterns designed using our Log Cabin blocks. The blocks are 12″ x 12″ log cabin blocks that utilize template layout sheets for fast, efficient and accurate cutting. A cutout template is used to cut away a part of the log cabin block and insert the Circling Geese unit. The blocks were offset and half blocks have been added on alternating ends to achieve the offset look of the quilt. The quilt was quilted By Vicki Ibison and a downloadable quilting design will be available at some point in the future. 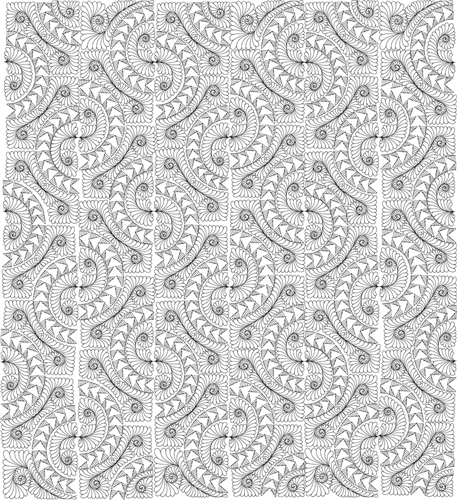 Watch the Related Products listing below for the quilting design when it becomes available. 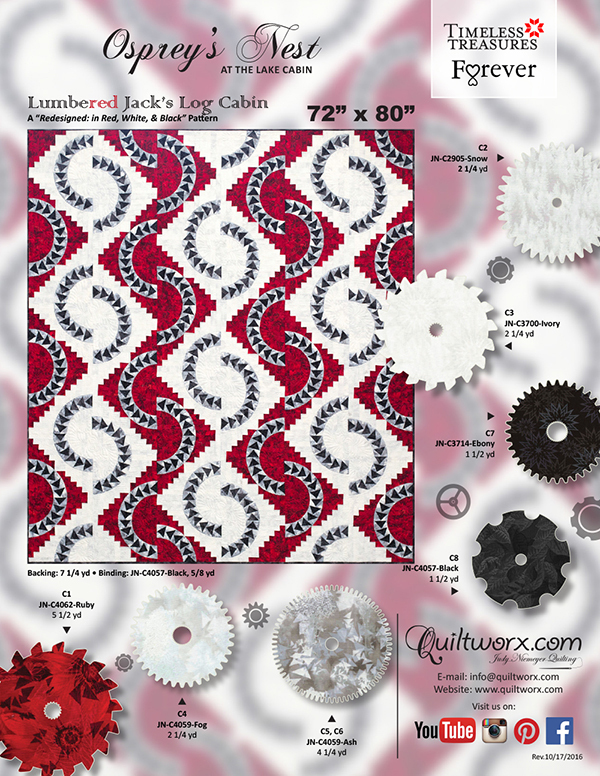 Finally, it should be noted that a companion pattern to this quilt is available that utilizes the cut away blocks from the Osprey’s Nest, called the Log Cabin Cutouts. Additional yardage to that described on the Log Cabin Cutouts instructions will be required and an Osprey’s Nest Alternative Yardage handout is available for a free download online. 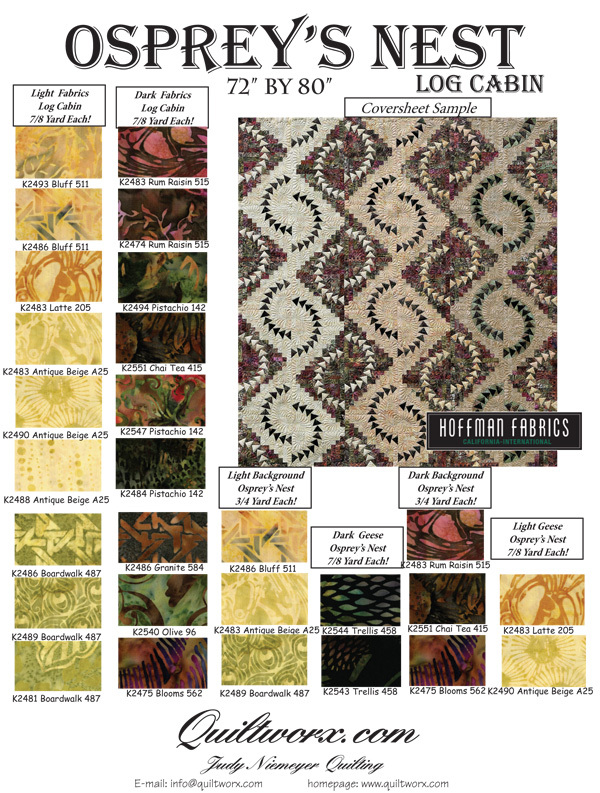 If you are interested in making the companion quilt, please download the alternative yardage information to assure you buy enough yardage of the desired fabric, to complete the companion quilt. We would like to extend a special thanks to Hoffman Fabrics of California for designing and providing the fabrics for our quilt. Betty Weibert Spectacular. This is patience. Marion Van Love this quilt. Linda Huber Wow. Just wow! Lise Foley Very unusual and beautiful. Kathy Porter Susan D Justice. Love this. Tracy Fairchild-Shaw is this hung correctly??? Donnice White Love the greens! Mary Gish Difficult at best. Very pretty tho. Linda Minaga I can't make it that weekend, but want all of my class to go in my stead. This Wonderful Ladies Organization returns all the money they collect to the Community to serve so many in need. 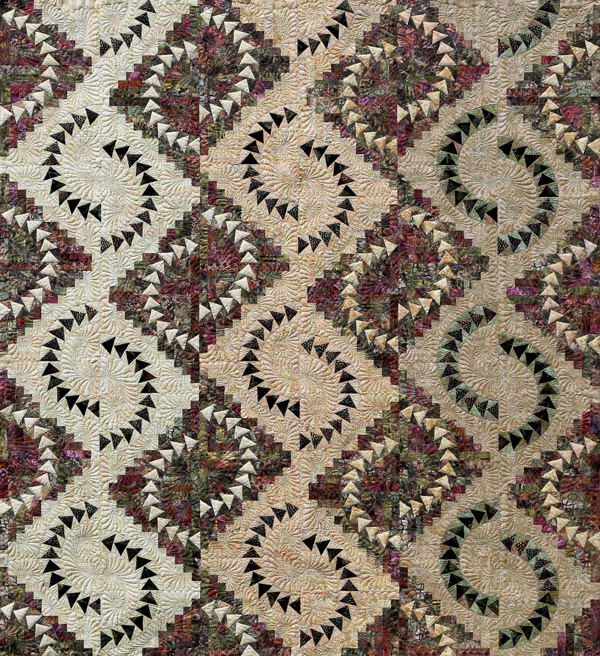 Elisa Campbell I'm not a quilter and am not acquainted with this pattern - I love it! 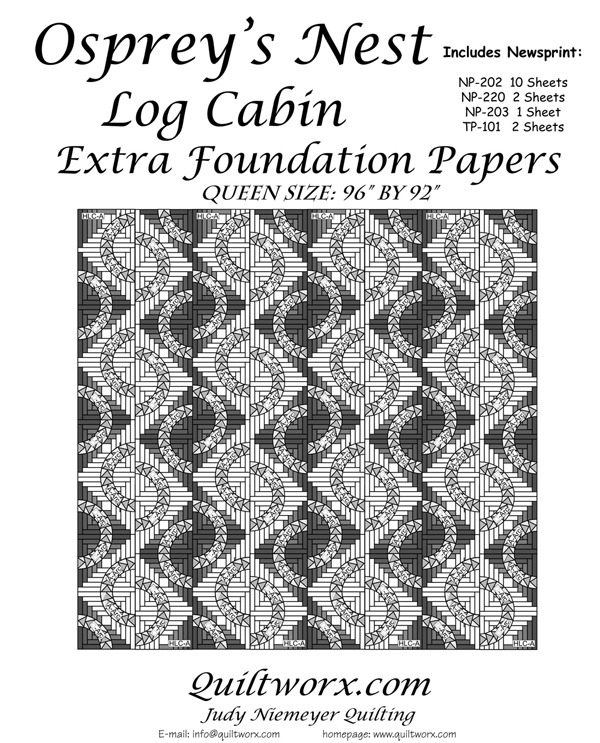 I've long loved regular log cabin patterns; now I can add this to the list. Juanell Stiles That is stunning!!! But look at all those ittybitty flying geese!!!! Brenda Rodgers Butters Gorgeous but looks super difficult. Marianne Evert Stamm I love the colors you used. I need to get my pattern out. I haven't made it yet. Cheryl Foote Michels This is beautiful but way to advanced for me. Kathy Kelly Nancy z-we need this pattern!! Kathy Kelly This is wAy too spectacular! Lola Grenfell I think I will try this one. Sharon Fields This is beautiful, would love the pattern. Christi Scheffel Beautiful. I could see a great Red and White. Gloria J Wilson Margolis I have the pattern and was going to do red and green. Love this version! Susan Yingst WOW, bet that took a few days! Cathleen Umland Gautherin JP Amazing movement! Where can I get the pattern? Wanda Mitchell Wow, that pattern would make me crazy! Great job! Debra Lawson Esper Cathy Arnold Parsons I'm thinking I'd like to do this one! Cindy Becker Rutherford Stunning &:so intricate! Alice Smith Love this! Great movement! Larry Beitlich Awesome looking quilt! Sorry, there are no classes scheduled for Osprey's Nest Log Cabin at this time.